Designed by Peter Homestead, the Kenzo Cushion Crescent Love Seat exhibits simple, graceful lines and a wide frame. The Kenzo Cushion Crescent Love Seat features the exclusive RELAXplus® technology for optimal comfort, longevity, and mildew resistance. 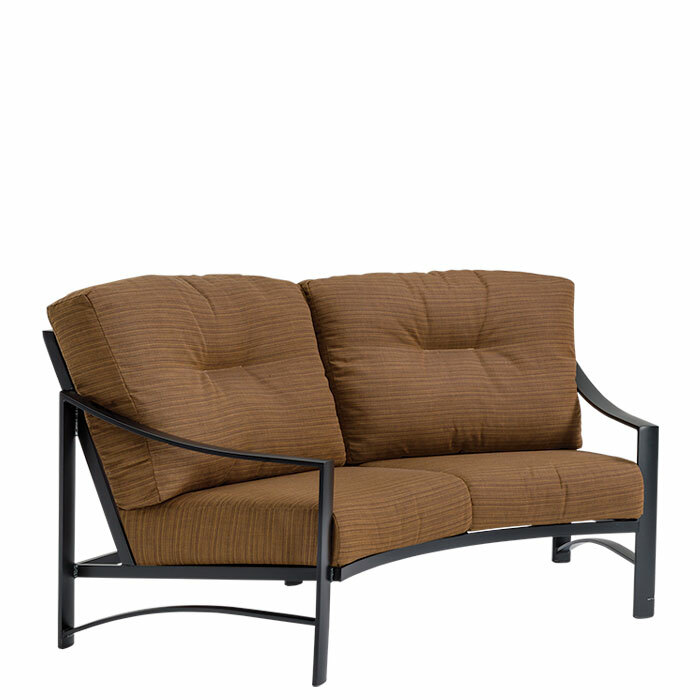 The high-back design of the outdoor love seat delivers sink-in comfort for relaxation all day long. Create intimate chat settings by pairing this crescent love seat around Tropitone® Tables or Fire Pits.